In China, 61 million children have been left behind in their original rural communities by migrant-labor parents, among whom 60% live apart from their migrant mother. 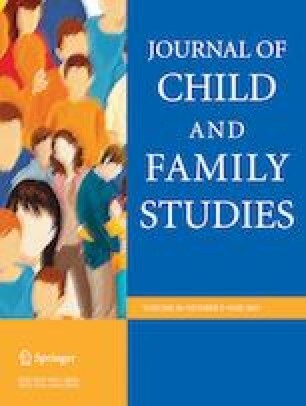 This study examined the associations of mother versus father absence with adolescents’ academic achievement, cognitive ability, and emotional well-being in rural China as well as explored parenting practices (i.e., parental regulation, parent-child communication, parent-child co-activities) as mechanisms to explain the hypothesized different maternal and paternal roles in relation to adolescent development. Using a recent nationally representative dataset with 7419 adolescents, fixed effects models and propensity score weighting were used to assess the association between parental migration and adolescent development. Multiple regressions with the Sobel tests were employed to explore the mediating role of parenting practices. The analyses revealed that living in mother-absent households was negatively associated with adolescents’ test scores and depressive symptoms, whereas living in father-absent households was rarely associated with negative outcomes. Results also indicated that the differences between the child development in mother- versus father-absent households were partially explained by disparities in parenting practices. Our study suggested that parental absence and parenting practices were jointly related to youth development among types of migrant families. Given the massive level of labor migration in China as well as the growth of labor migration in many other developing countries, both scholars and policy makers will want to take note. Y.X. : conceived and executed the study, conducted data analyses, and wrote the paper. D.X. : collaborated with the data analysis and writing of the study. S.S.: helped conceptualize the paper and collaborated in the writing. M.W. : collaborated in the writing and editing of the final manuscript.